Here’s Sounds of Isha’s latest, a rendition of Jaago Bhairavi, an invocation to Devi Bhairavi, a plea for Devi to come awake in one's heart. 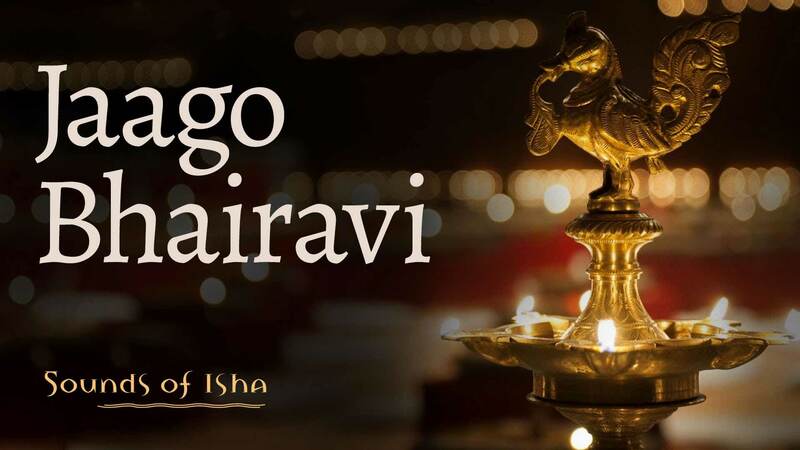 Here’s Sounds of Isha’s latest, a rendition of Jaago Bhairavi, an invocation to Devi Bhairavi, a plea for Devi to come awake in one's heart and take one across the ocean of life. It expresses the longing of the devotee to surrender at her feet. Come awake in my heart. Hold my hand and take me across. But an ignorant child of yours. Allow me to sit at your feet. Linga Bhairavi is the most exuberant expression of the Divine Feminine, unique in her manifestation in the form of a linga. Powerful, earthy and humane, Linga Bhairavi is the ultimate manifestation of the Mother Goddess – all-powerful and all-encompassing. Editor’s Note: Follow Sounds of Isha on Youtube for more great music. Can someone please give me the lyrics for this wonderful song? A new release from Sounds Isha, “Sunta Hai” is an abridged rendition of Kabir’s popular song.